Traffic stop? What should I do? | We get results! Free consultation. Se habla español. Home » Criminal Court » Traffic stop? What should I do? So, You’ve been pulled over for a traffic stop? What now? Bring your vehicle to a complete stop. Place it in park and turn off the engine. If it is dark, turn on your lights both interior and exterior so that the officer(s) may see that you are complying and not a threat. Roll your window down enough to pass documents to the officer and converse. Do not open it all the way, as probable cause for a search is often generated by the alleged odor of marijuana, alcohol, or other substances. Be Courteous, but never forget that you do not have to answer the officer’s questions although you must provide identification when asked. The famous question: “Do you know why I pulled you over”? Is actually a request for you to admit to violating the law. Do not admit to violating the law. Any admissions you make will be used against you to obtain probable cause for further action, and your statements may be used against you. Do not answer unnecessary questions or elaborate if asked probing questions like “Where are you headed”, “What are you up to?”, “Have you had anything to drink tonight”? While they may seem like small talk, the answers may be used against you. Do not consent to a search of your vehicle. Even ‘if you have nothing to hide’. If an officer does not have probable cause to search, you are giving them authority to search if you consent, or say ‘ yes ‘ when asked. If you are being arrested or detained, never physically resist arrest. More on this topic, next time. If you received a citation, be courteous and take notes of what charges you have been issued by the officer. Do not argue or fight with the officer. You have already been issued the citation. Save your defenses for Court. 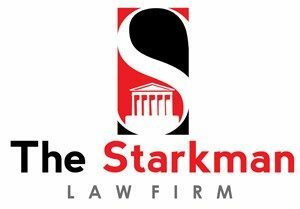 Call the Starkman Law Firm and schedule a free consultation to discuss your options in Municipal Court.